Researchers at the University of California's Bourns College of Engineering have discovered that common sand, found at beaches and riversides everywhere, has the potential to drastically improve the performance of lithium-ion batteries. 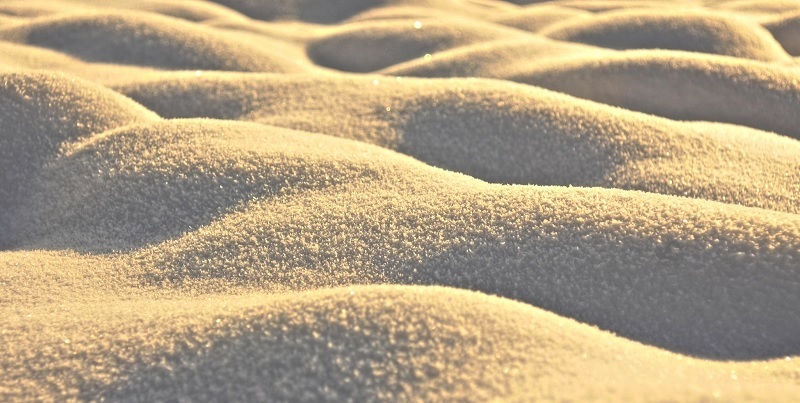 Sand is mostly made up of quartz, or silicon dioxide, which when purified and processed can rather easily be turned into nano-scale pure silicon with a porous sponge-like consistency. This nano-silicon can then be used as the anode on a lithium-ion cell, replacing the currently-used graphite anode. While graphite has been a solid performer in batteries for a number of years, it has essentially reached its maximum performance capabilities. Researchers have turned to silicon, and breakthroughs like this could make it easier to produce in large quantities for commercial cells. The porous nature of the nano-silicon crafted from sand has the potential to increase the lifespan of a lithium-ion battery by three times or more. As a demonstration, the researchers at Bourns College produced a button-sized battery using a sand-silicon anode, but they plan to move to smartphone-sized pouch batteries in the near future. Let's hope that, with sand at the helm, soon we'll start to see serious battery life improvements in our smartphones and tablets, as well as greater range in our electric vehicles.